With a Matte Black or White finish outside and painted white inside, our dome fixture pendants generate a warm and inviting glow. The dull nickel pewter plated accents will cast an even warmer glow upon your dicor. Warm up your industrial room and decor. 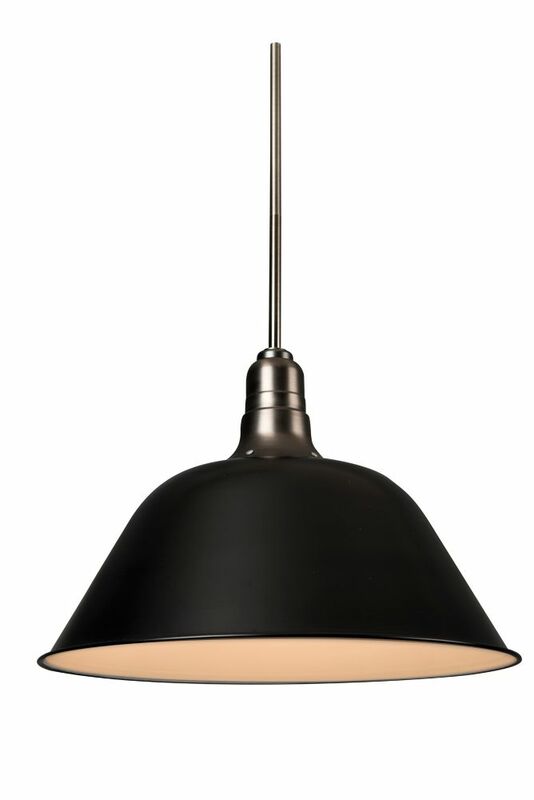 Black Matt 18 Inch Dome Pendant With a Matte Black or White finish outside and painted white inside, our dome fixture pendants generate a warm and inviting glow. The dull nickel pewter plated accents will cast an even warmer glow upon your dicor. Warm up your industrial room and decor.